Designed and developed by Maj. Gen. Phetbuasak (The Royal Thai Army). 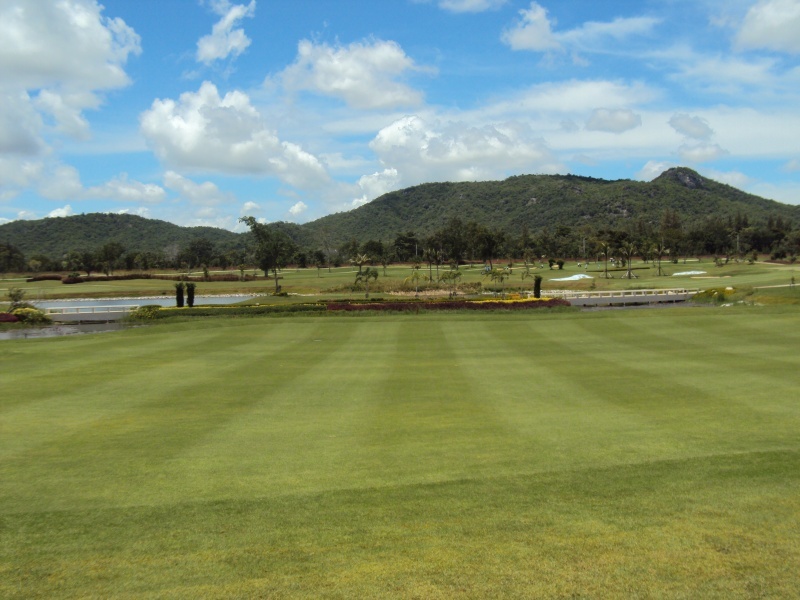 The Sea Pine Army Golf Club is the newest 18 hole golf course in Hua Hin and opened in September 2010. 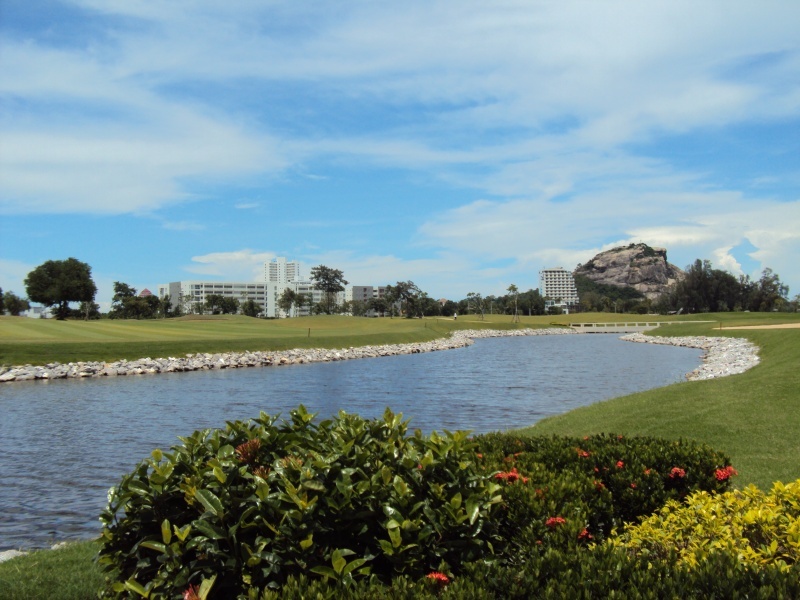 The Hua Hin golf course has been creatively set within a large tract of land, which was originally owned by the Royal Forestry Department before being taken over by the Royal Thai Army under the rule of Field Marshall Sarit Thanarat, who served as prime minister of Thailand during 1957-1963.A modern clubhouse overlooking the Gulf of Thailand serves up some great Thai food. 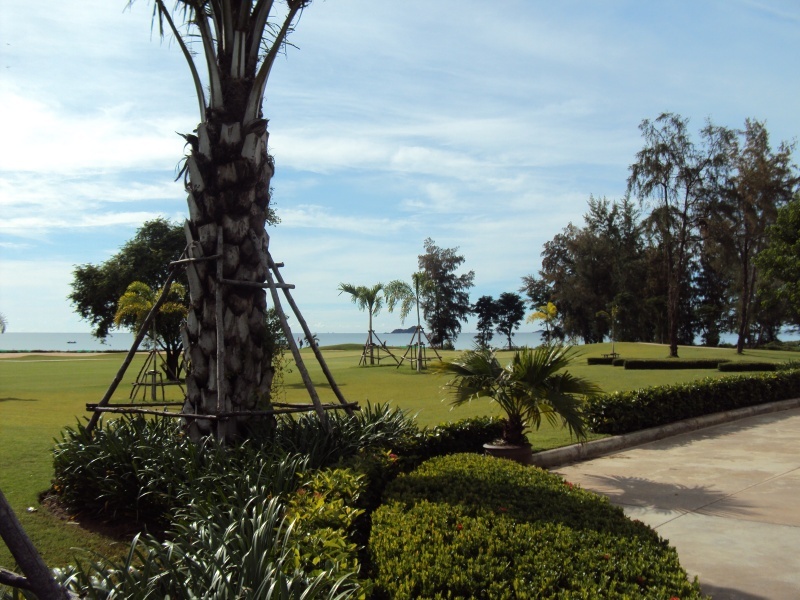 Sea Pine Golf Course is located right on the beach and comes across like a tropical version of a Scottish links course. 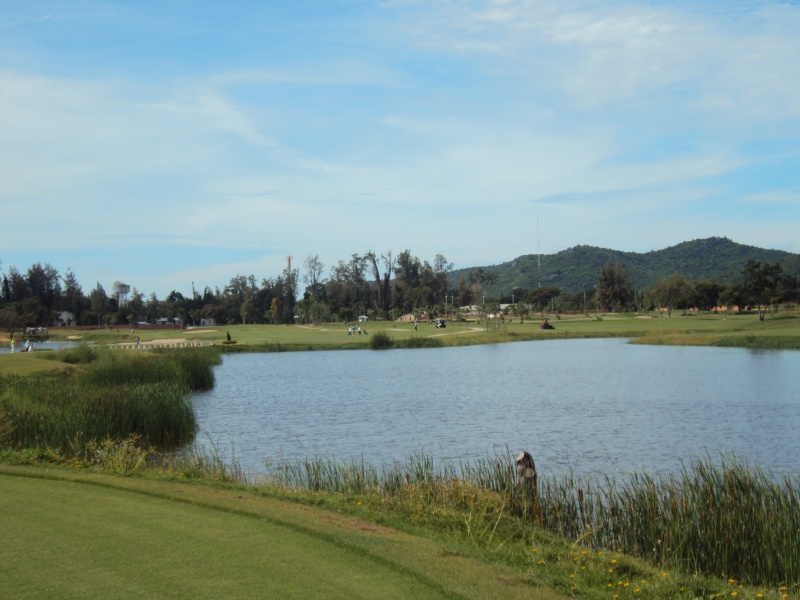 The pine trees from which the course takes its name are much in evidence, and together with the mountains and the ocean provide a stunning environment. 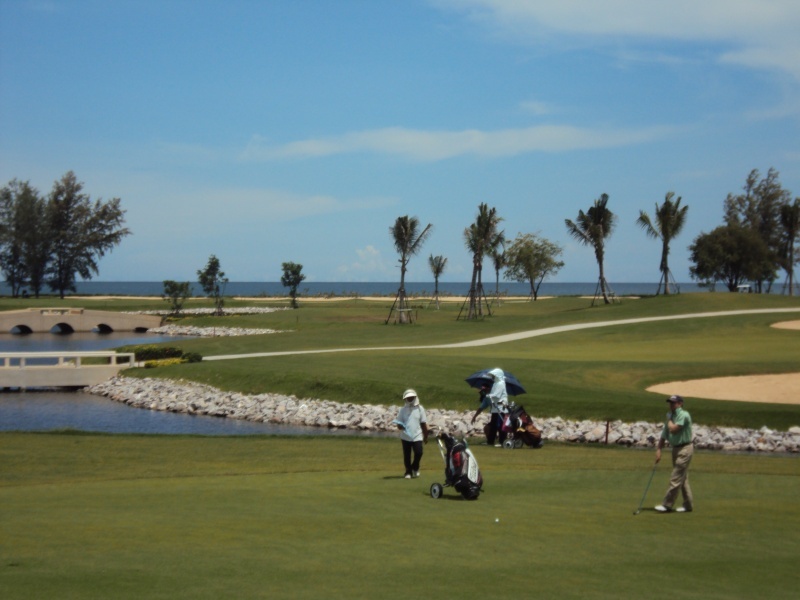 Down the stretch at Sea Pine the sea breeze comes in play and the three final holes are among the best in Hua Hin golf. 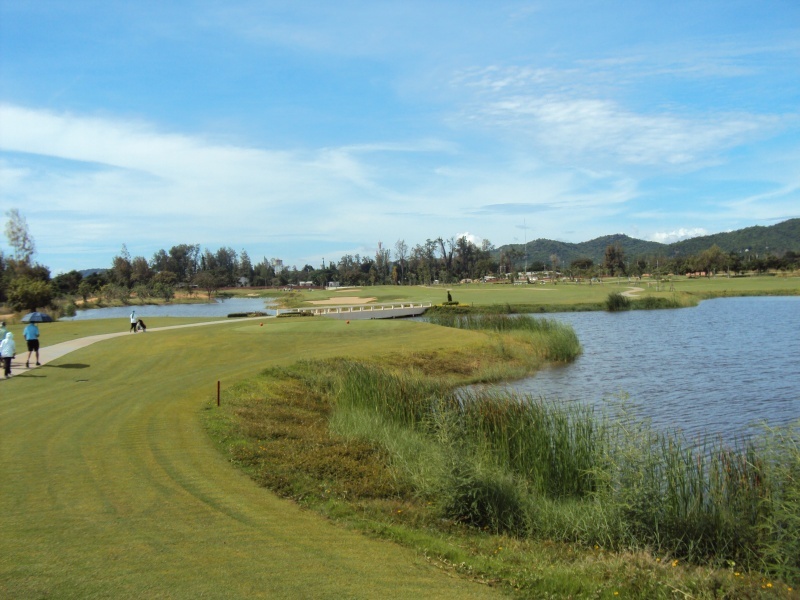 the 16th is a dogleg par-5 that requires a drive to a narrow fairway down the hill to avoid water hazards on both sides. Golfers look down at the hole for their second shot with a panoramic view of the ocean and the mountains. The toughest part of this hole is the approach shot. 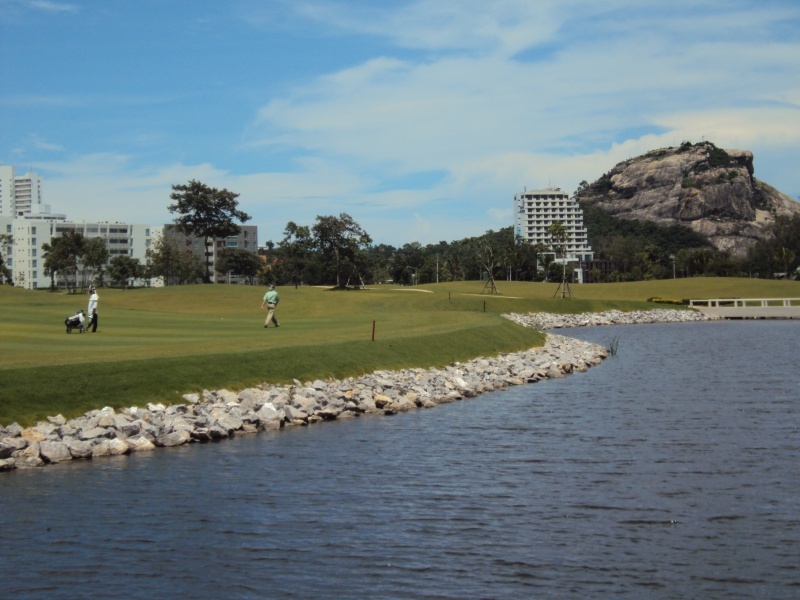 A player has to decide whether to cut over the water/bunker onto the sloping green or take a safe route to the left side of the fairway. The signature 17th with breathtaking panoramic views is a par-3 over a large lake to a well protected sloping green, and the final hole involves a 200 yard carry over a canal and ranks as the hardest on the course. 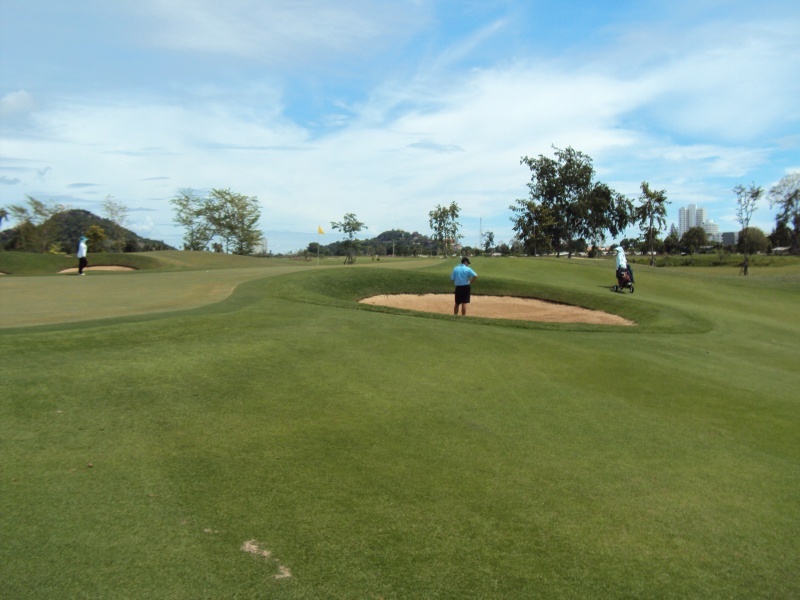 Hua Hin golf visitors must take note that Army officers and their guests have priority and others should be prepared to yield should their tee times overlap with Army golfers. Therefore, those on a tight schedule or in a hurry are advised to check on course crowdedness ahead of time or a play elsewhere.